Create your most popular confectionery delights with the Avantco MX40 40 qt. commercial planetary mixer! 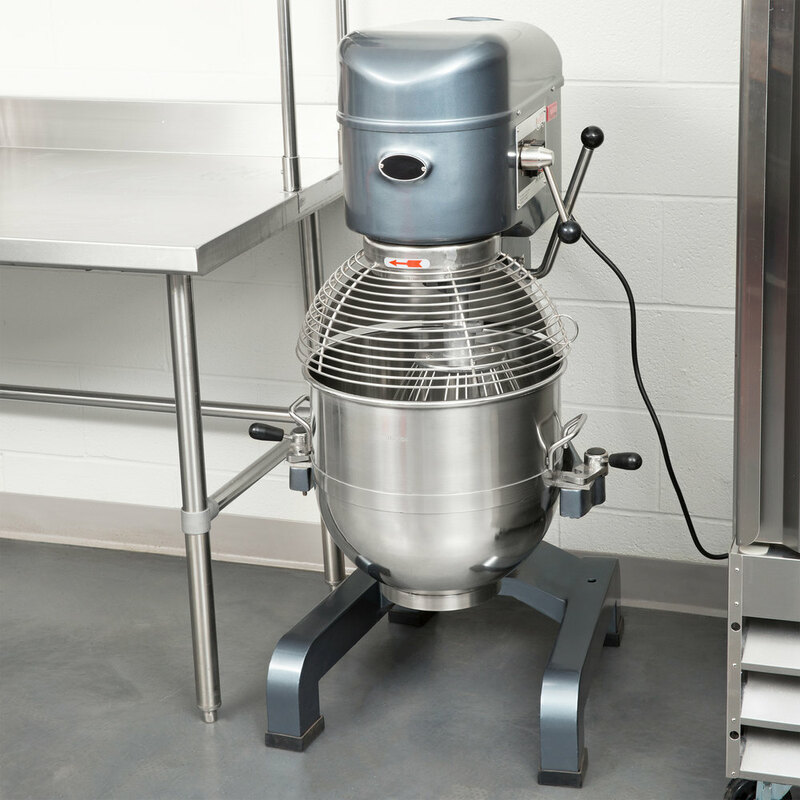 Whether you're tackling cake batter or the occasional pizza dough, this mixer's powerful 2 hp, 1 phase motor, and 3-speed gear driven transmission will get the job done without the risk of drive system slip that can happen with belt driven models. 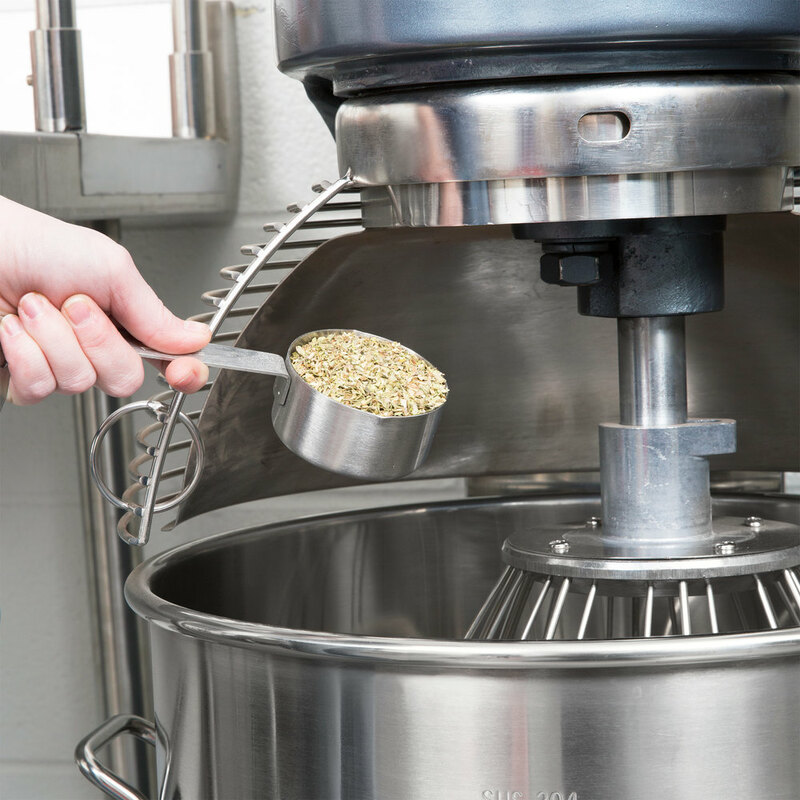 Its automatic safety overload switch will cut the power in the event of overdraw to protect your unit from damage, while the included stainless steel bowl guard also prevents clothing, utensils, or your employees' hands from coming in contact with the agitator when the mixer is in use. In addition to a 40 qt. 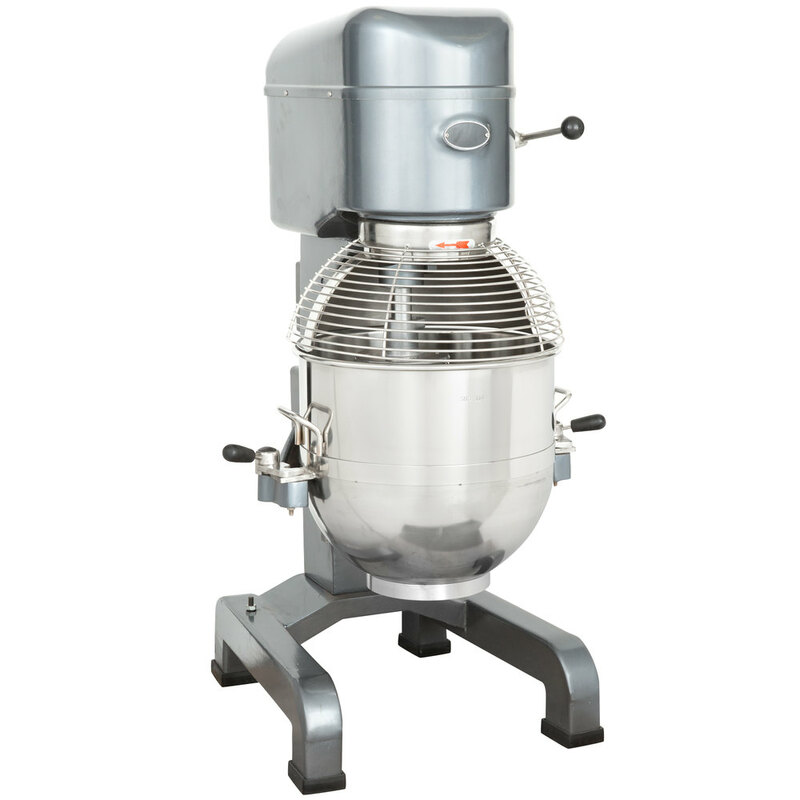 type 304 stainless steel bowl, this mixer comes with a variety of other accessories, including a type 304 stainless steel wire whip for mixing liquids and soft foods, a cast aluminum flat beater for mixing dry ingredients, and a cast aluminum dough hook for kneading bread or pizza dough on low speed. All of these attachments can be easily installed by raising them onto the mixing axle and simply rotating them clockwise on the shaft until they lock into place. 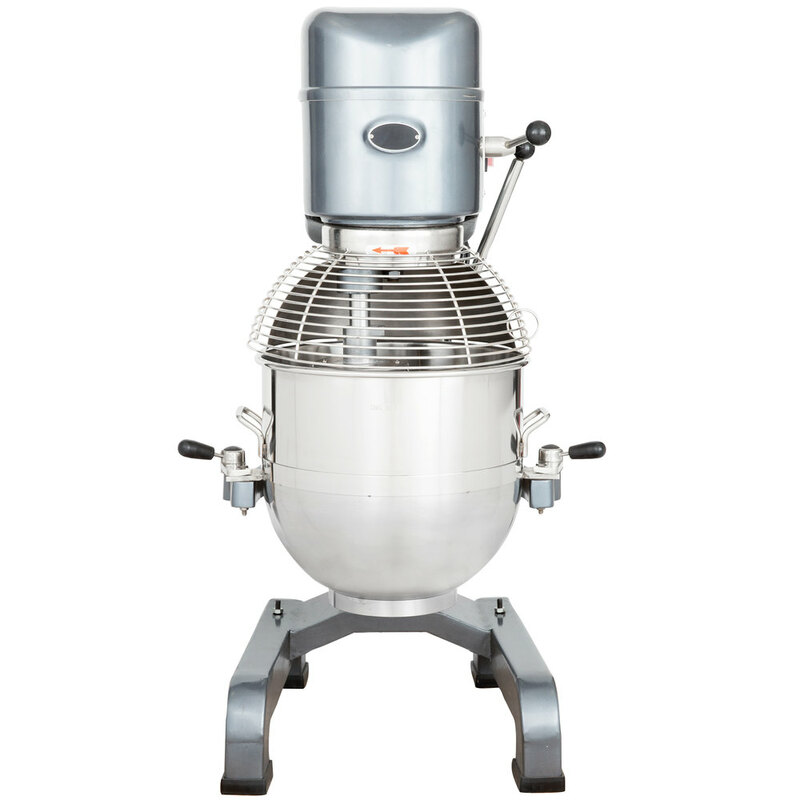 This mixer also features a manual bowl lift that raises the bowl to the proper height for mixing with just the turn of a wheel! Absolutely love it! This is the eaisest mixer to use! I Love It! And the noise is actually quieter than my old hand mixer. I would definitely would say Buy One! I Love it! The bowl is big enough to makes 3+ batches of Chocolate chip cookies dough. LOVE LOVE LOVE!